The Australian Transport Safety Bureau (ATSB) says current CASA legislation does not require commercial operators of aircraft up to 5,700kg in weight to provide instructions and procedures for crosschecking fuel quantities before and during flight. 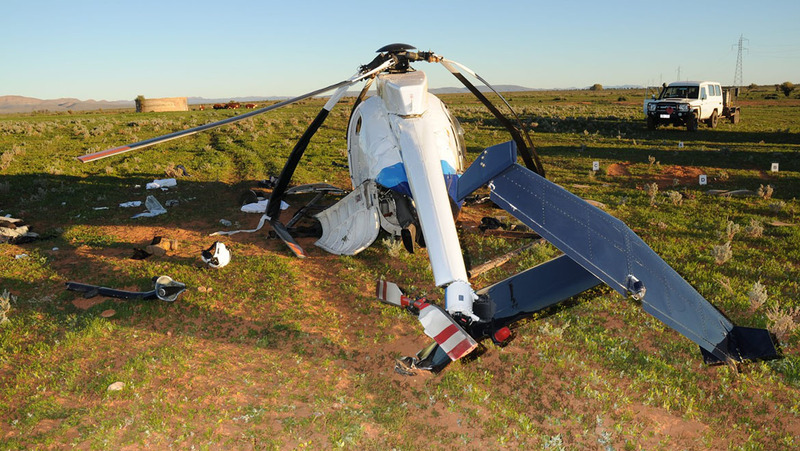 The issue was highlighted by the July 2016 crash of a McDonnell Douglas Helicopters MD 500E in South Australia’s Flinders Ranges while performing powerline inspections, which the ATSB found was due to fuel starvation. The pilot and two line-workers onboard were seriously injured in the accident, while the helicopter suffered substantial damage. “The ATSB found that ground staff mistakenly told the pilot that the aircraft had been refuelled and through distraction, omitted a crosscheck of the fuel quantity before flight,” the ATSB said in releasing its final report into the accident on Thursday. The government’s transport accident investigation agency says current legislation covering checking fuel quantities “increases the risk that operators in this category will not implement effective fuel policies and training to prevent fuel exhaustion events”. While a new CASA instrument is scheduled to take effect from November 8 this year, CASA 29/18 – Civil Aviation (Fuel Requirements) Instrument 2018, which “should” address the issue of fuel cross-checking, in the interim the ATSB has issued a Safety Advisory Notice (SAN) advising “AOC holders for aircraft not greater than 5,700 kg MTOW to consider this safety issue and take action where appropriate”. “From 2003 to 2017, the ATSB has received 26 reports of fuel exhaustion events from Air Operator Certificate holders operating aircraft not greater than 5,700 kg MTOW. Two key contributing factors from these reports are pilots not crosschecking the fuel on board before and/or during flight,” the SAN reads. In its safety message from the accident investigation, the ATSB found that the “accident highlights the importance of crosschecking fuel before flight and in-flight fuel monitoring by pilots to prevent fuel exhaustion accidents. It also highlights the potential consequences of distraction breaking the flow of ongoing activities. The full report can be read on the ATSB website here.